Close your eyes and imagine a soft, chewy and warm bun, fresh off the grill and jam-packed with your filling of choice. What’s that, you wonder? 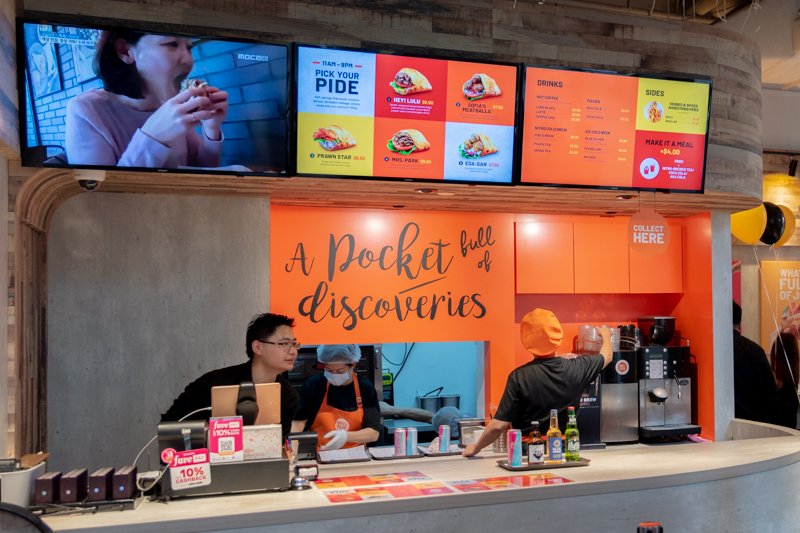 What’s Pide has finally opened its flagship store at China Square Central near Chinatown, after its success in South Korea. 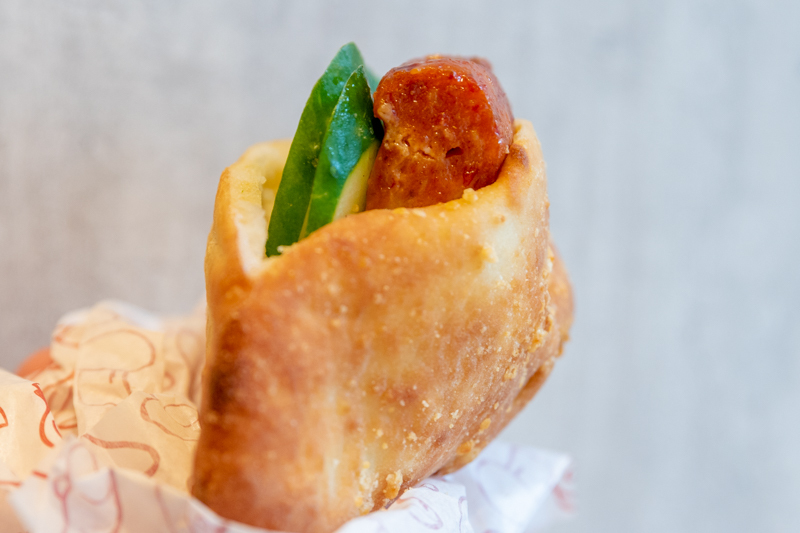 They serve this delightful pide pocket, which is a variant of the Turkish pita flatbread. It certainly caught my attention as this isn’t common in Singapore. 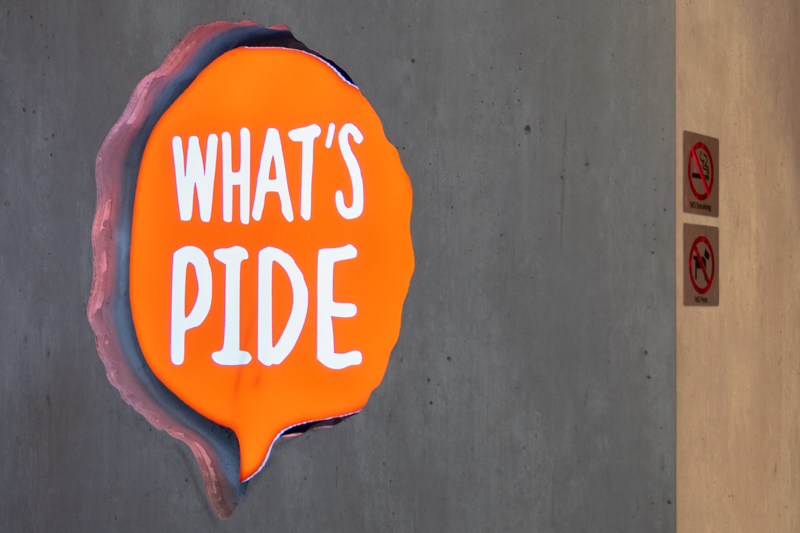 Despite having recently opened the flagship, it seemed that I wasn’t the only one interested in What’s Pide. There was a long queue snaking outside the store even though it was just past the usual lunch hour. When I went down, I had the Eda-San (S$7.50). 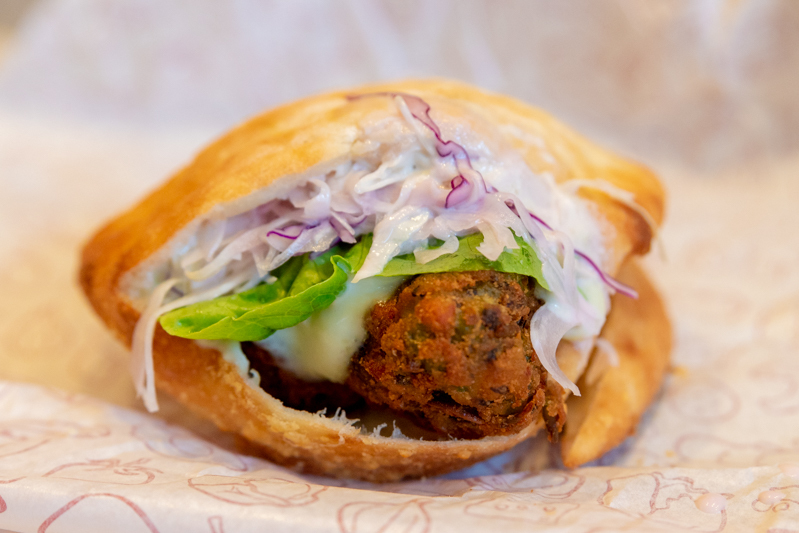 The pide pocket was fluffier and thicker than regular pita bread, and had a soft, scrumptious texture with a little chew to it. Fresh off the grill, the warm, toasty pocket was a comforting snack. This delightful bread had a nice, luxurious sheen. It also had a smooth, clean finish, which reminded me of butter. However, no butter is used for the bread which might appeal to the health conscious out there! What’s Pide also offers a delightful range of flavours. One of the more interesting ones would be the Oh My Otah (S$4.50). A thick slice of Muar otah resting on a bed of sliced cucumbers made for a unique spin on local street food. The cucumber added some crunch which contrasted against the soft bread, and the Muar otah was pretty authentic, not too dry or too spicy. The only complaint that I have was the size of the otah. With only one piece of otah, some bites of the pide didn’t have any otah or cucumber at all. What’s Pide might do better to include a second slice of otah in their bread. 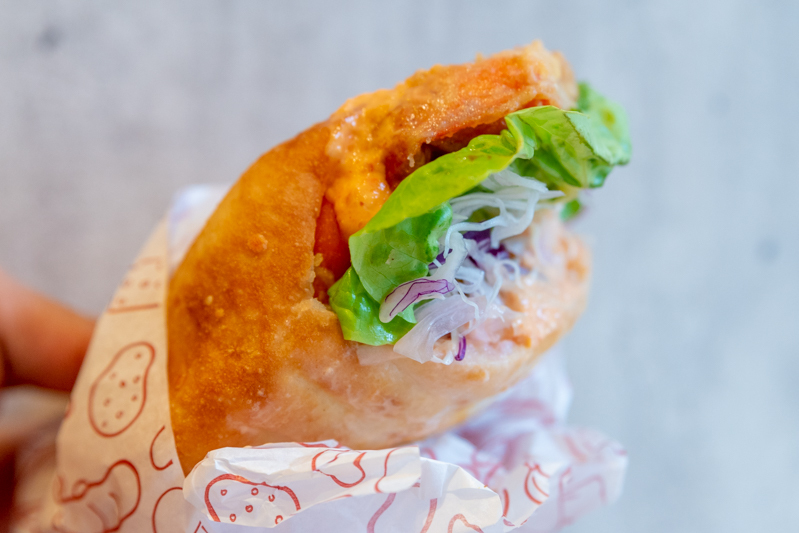 If that doesn’t sound up your alley, you can always go for the Prawn Star (S$8.50), which features soft-shelled prawns drizzled in kimchi mayo. The sauce helped to counter the dryness of the bread, which was a nice touch. However, the shell was really prominent and rather unpleasant to chew on. I would rather have normal, peeled prawns in my pide. 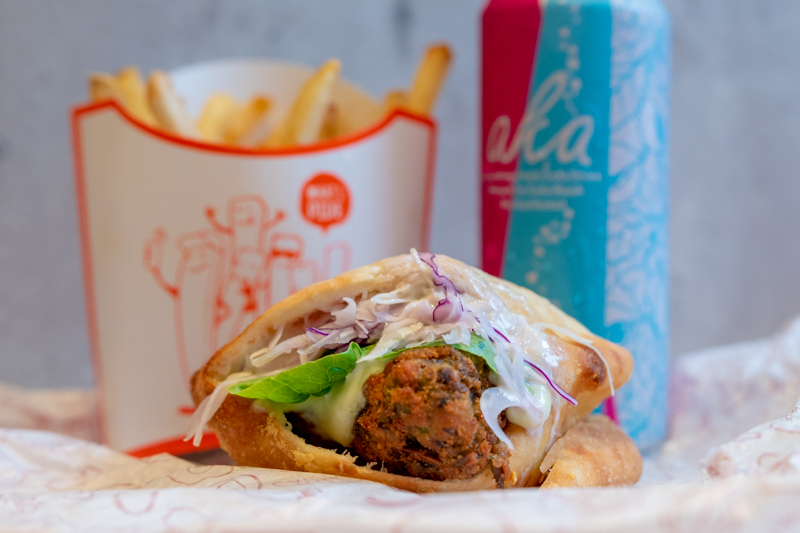 Ordering a set meal (additional S$4) with each pide adds on shoestring fries and a drink, which is a great alternative to a burger set meal at other fast food chains. I really hope What’s Pide and pide bread catches on in Singapore, because it’s something that everyone should try at least once. Drop by China Square Central today and give it a shot! Prices: From S$6.50 each. Prices are in nett.